We are back in school but it is still SO HOT! 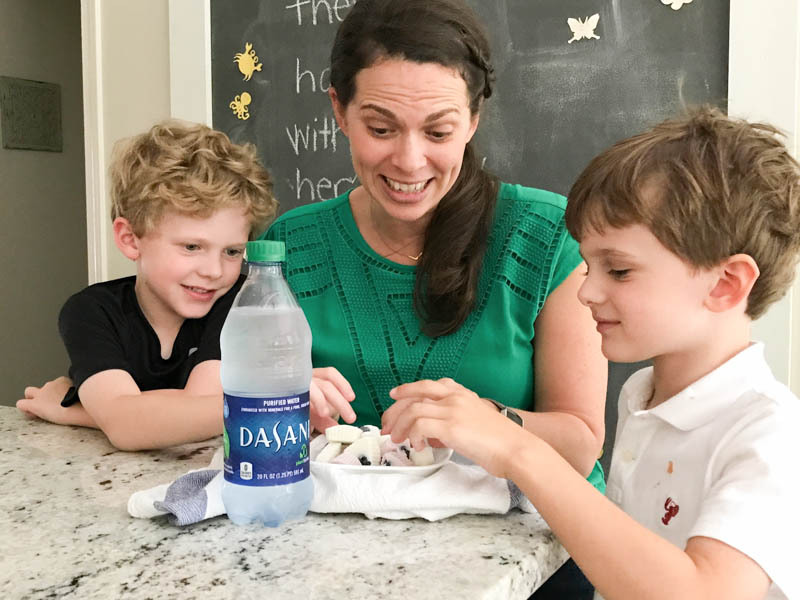 A cold bottle of DASANI® water and some Frozen Fruit Yogurt Bites are the perfect after school snack for your kids when they get off of that hot school bus! 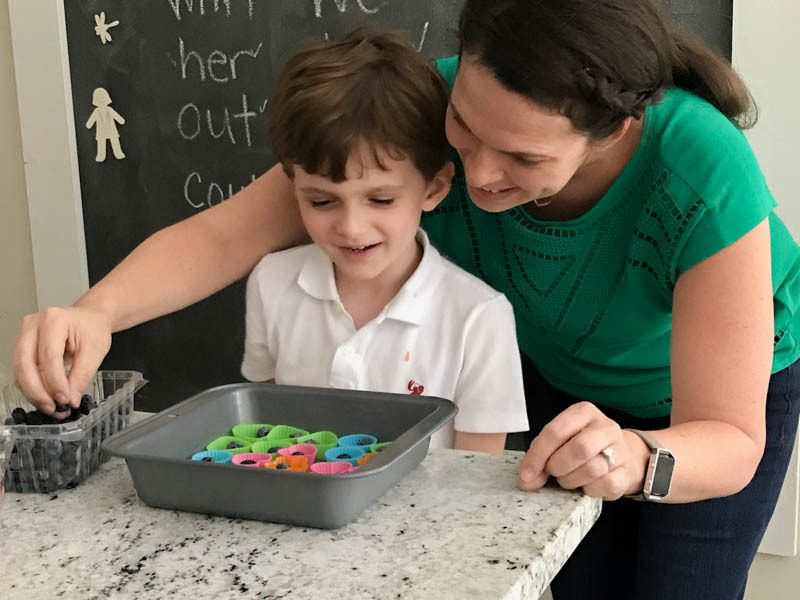 Bryce and I always have some time when we get home from preschool before it’s time to head to the bus stop for Noah. 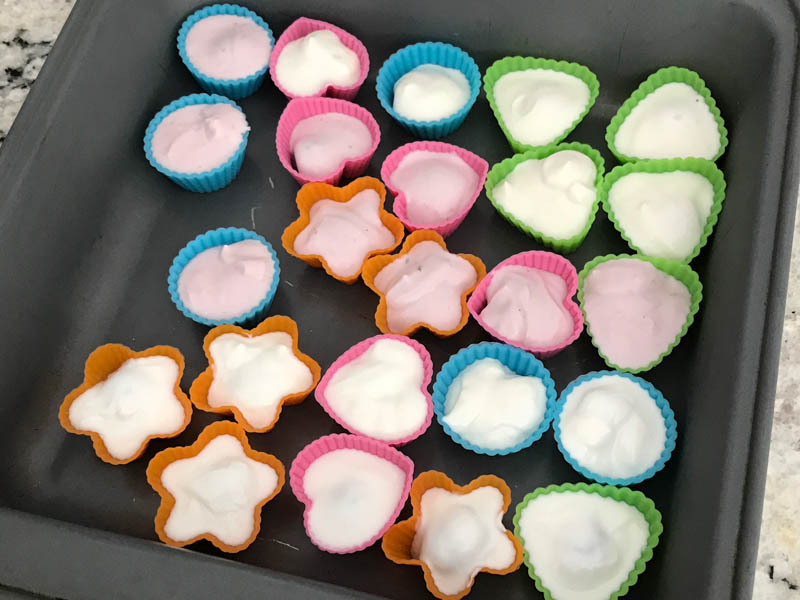 The other day we decided to make these tasty Frozen Fruit Yogurt Bites that we could share with Noah when he got home from school. Noah is always so dehydrated when he gets home! That bus is so hot and these dog days of August are just no fun at all. 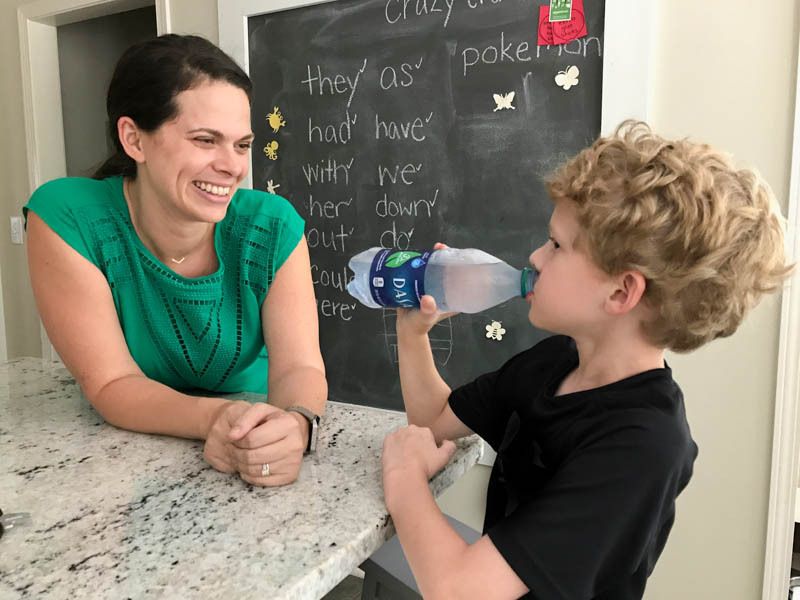 It’s so important that our kids get enough water to drink everyday. It’s usually the first thing he asks for when he walks through the door! 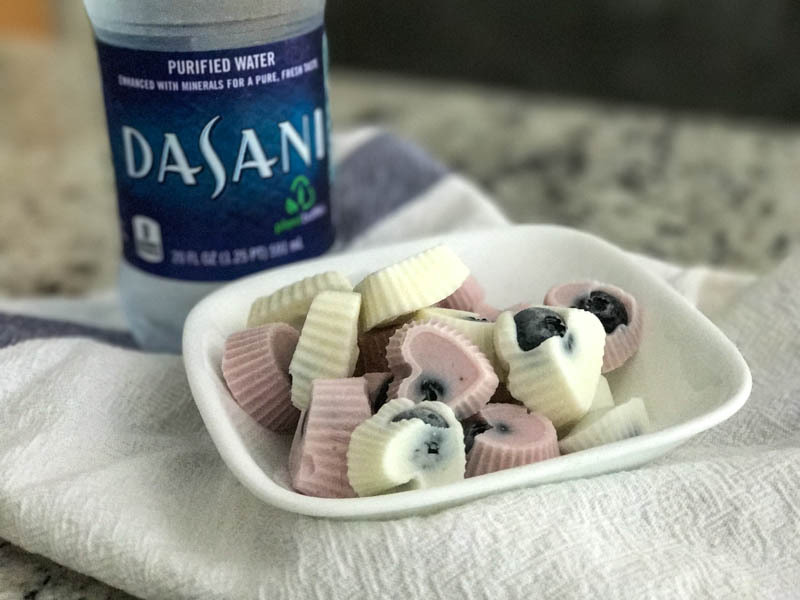 These Frozen Fruit Yogurt Bites go perfect with a nice cold bottle of DASANI and they are so easy to make!! I just so happen to have these tiny little silicone molds that have been sitting in my kitchen unused for YEARS! I thought they were larger when I ordered them to use in the boys lunch boxes and was very surprised to see how tiny they were when they showed up. LOL But really you can use anything, an ice tray, silicone mold, or even just some freezer/wax paper. 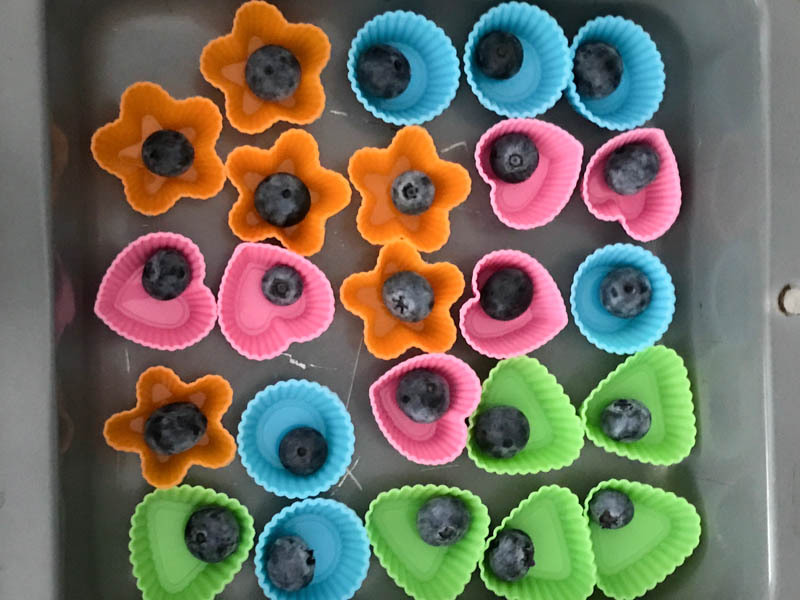 I had Bryce put one blueberry in each mold. Feel free to experiment with whatever type of fruit your kids like. I also chose Greek Yogurt and grabbed a couple of different flavors. I know my kids like berry flavored yogurt, but I’m hoping this will be a good opportunity to get them to try vanilla and even plain yogurt. I spooned the yogurt into a little snack bag and snipped off the corner. 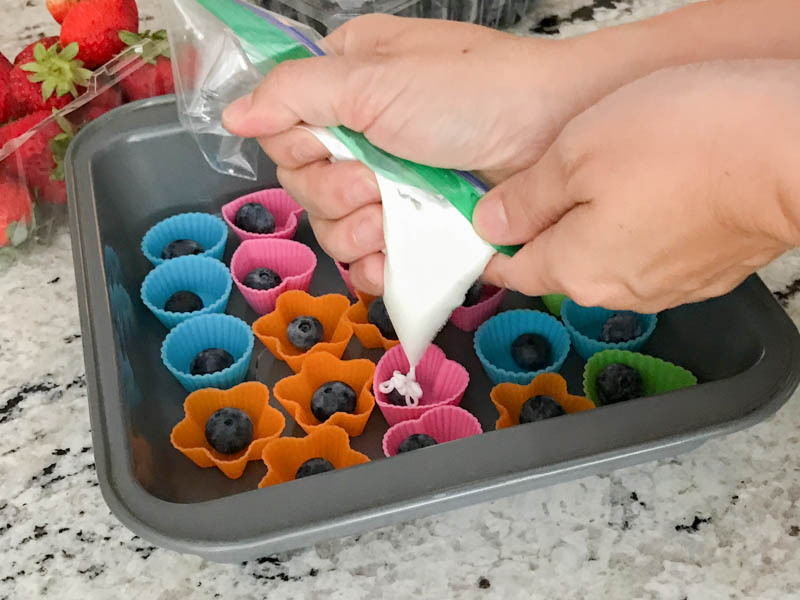 This is just like using a pastry bag, but way easier and you can just throw it away when you are finished! Pop the bites in the freezer for an hour or two and enjoy! Ours froze pretty quickly but it would be best to let them freeze for at least a couple of hours. 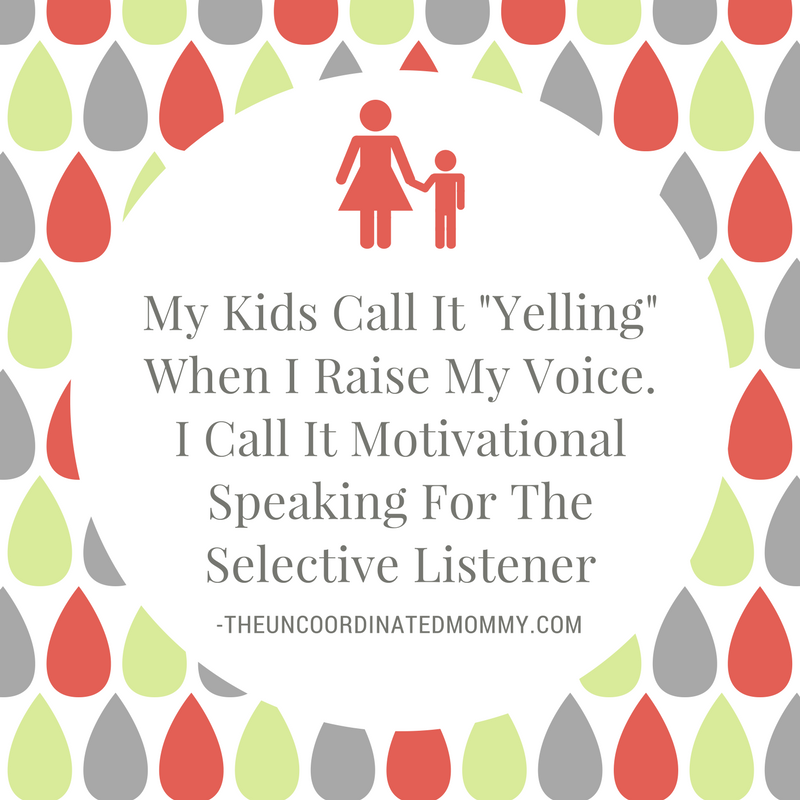 I hope your kids enjoy these as much as mine do!! These are so fun! And yes–it’s SO hot where we are too, so this is just perfect to refresh once you get home!